The cold weather is here to stay, bringing with it the longing for comfort food. I have created the recipe below, as part of the Hidden Valley Gluten Free Challenge. 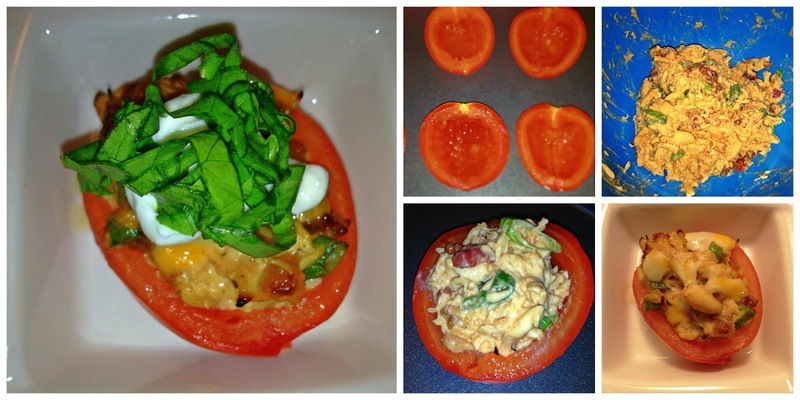 These Stuffed Tomato Boats With A Kick, are a great addition to any meal. They are also a perfect little snack, which will warm you right up. Heat 1 Tsp of Olive Oil in a pan, over medium heat. Add chicken to pan and cook each side for approximately 10 minutes. Chicken should no longer be pink. You can use a meat thermometer to ensure chicken has safely cooked to an internal temperature of 165F-170F. Let chicken rest for about 5 minutes. Place chicken in a bowl. Hold chicken steady with one fork and use another to pull or tear the chicken apart. Add Hidden Valley Spicy Ranch, gluten free apple butter BBQ sauce, crumbled bacon and green onion to the shredded chicken. Stir ingredients together until well incorporated. Set aside. Use a spoon to scoop out the pulp and juices of tomatoes. Fill tomatoes with chicken mixture and place on baking sheet. Bake for 15 minutes. Tomato skins will be blistering slightly when done. When tomatoes are finished baking, top each with a spoonful of sour cream. Place shredded lettuce (as little or as much as you like) on top to complete dish and serve. 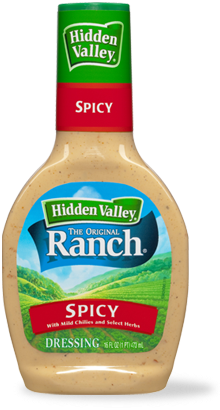 Hidden Valley Ranch Products and other promotional consideration were received in exchange for providing the above recipe as part of a submission in a contest sponsored by Hidden Valley Ranch.